We had a dishwasher catastrophe this week. I’d just started a cycle when I looked over to see thick, angry black smoke pouring out of the electrical panel on our GE dishwasher. 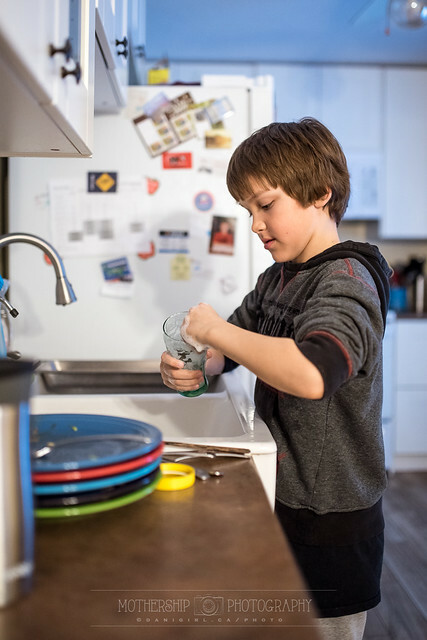 It’s only six or seven years old, but it has been doing a mediocre job on and off for a while anyway, and I just couldn’t imagine ever trusting it again after spending hours agonizing over the “what ifs” — thinking of all those times you load up the dishwasher and start it up and fly out the door. 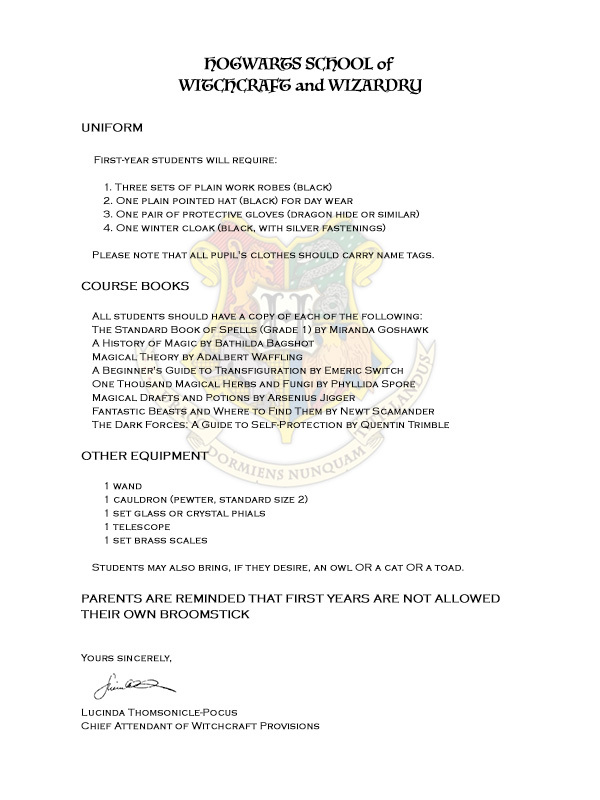 Long story short, a new one has been ordered and will be delivered soon. I scored a pretty good deal, too, so I suppose the story has a moderately happy ending, except for the giant expenditure that was not in our March Break forecast. In the interim, someone had to step up and clean the dishes. 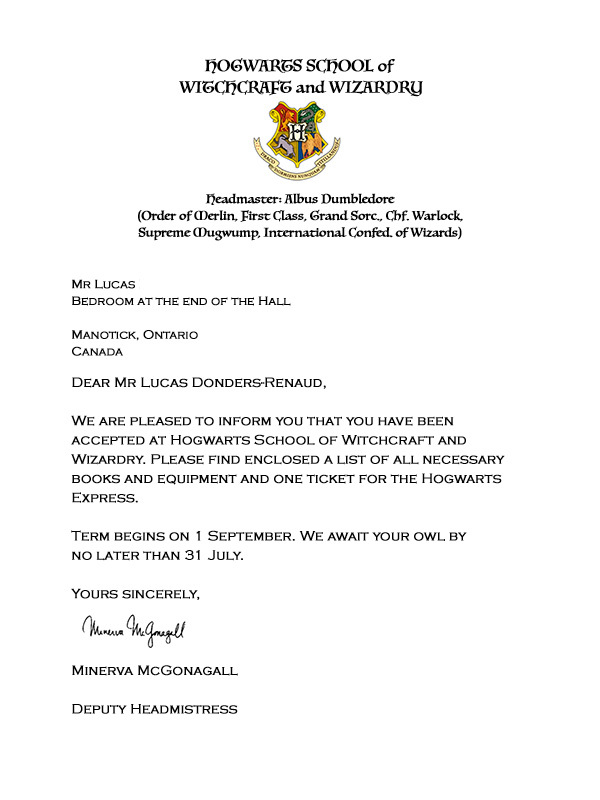 Lucky for me, Lucas happily volunteered. This was my job when I was about ten years old, too. We didn’t get our first dishwasher until I was 12 or so. I instructed Lucas just like my mom instructed me: glasses first, then plates and bowls, then pots and pans and utensils. Mind you, I didn’t have to worry about dropping plates or glasses into an extra deep ceramic farmhouse sink. We are clumsy folk, after all. 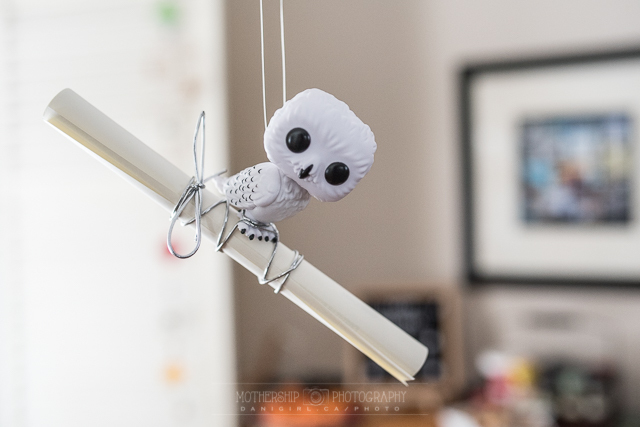 I try not to hover, and trust that he won’t drop anything. It’s a work in progress, this growing up thing. If you’re a long-time blog reader, you know that as a family, we have been stalking Chef Michael Smith for about four years now. 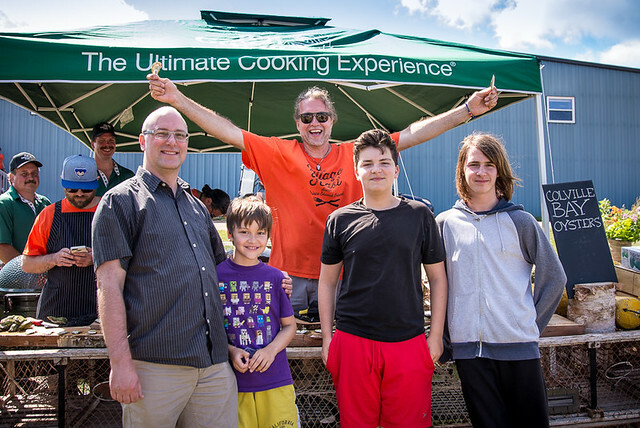 We’ve long been fans of “the world’s tallest freestanding chef” and have been visiting his Flavour Shack in Souris every year that we visit Prince Edward Island. For my birthday in 2015, we even sprang for a night out with the family at his amazing FireWorks restaurant in the Inn at Bay Fortune – although the Chef was not in attendance that evening. 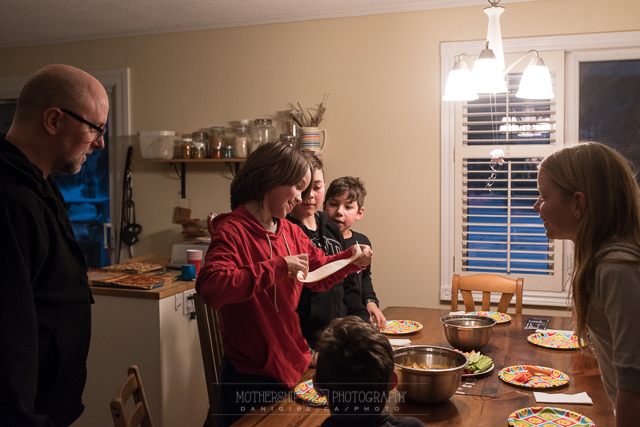 You might even remember that last winter, I got to meet Chef Michael when he was in Ottawa on business, and I managed to convince him to Face-Time with Beloved and the kids. I’m not kidding, we’re serious fans! So when the stars aligned for our 2017 visit and we found out that Chef Michael’s annual charity event, the Village Feast, not only coincided with our visit for the first time ever, but would take place practically walking distance from our cottage, there was no way we could *not* go. To our delight, right there as soon as we walked in was the man himself, offering oysters for sale to raise funds for the various charities that the Feast supports. And didn’t we just walk right up and say hello, as if we hadn’t been stalking the man for more than four years? I asked him if he remembered FaceTiming with the kids last year, and he was delighted (or so it seemed) to be meeting them face to face. The Feast itself was amazing. We had salmon cakes and fresh greens, steak cooked to perfection, PEI potatoes mashed with gravy, a Kenyan curried bean dish called Githeri, and strawberry shortcake for dessert. Especially considering it was food cooked for a thousand people, it was the best meal we had on PEI. We were just finishing dessert when I noticed a familiar face in the crowd. 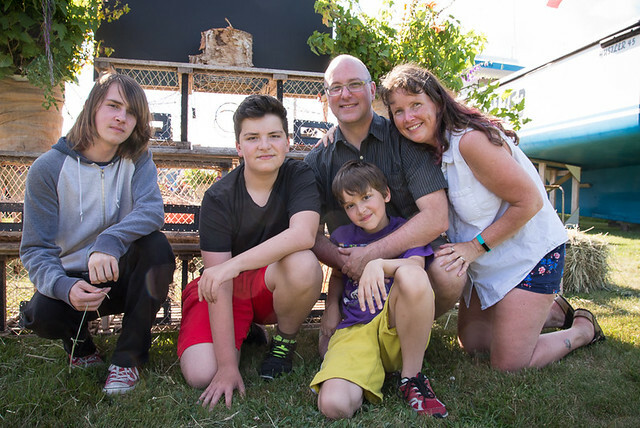 Loretta from Chef Michael’s Flavour Shack has taken our family portrait each year that we’ve visited PEI, by sheer coincidence of her being at work in the Flavour Shack every time we’ve visited. I walked over to say hello and asked if she remembered us, and not only did she remember us, but she was happy to take a “Village Feast” version of our annual PEI family portrait. On our way out, we stopped for a quick final chat with Chef Michael. I was amazed at how accessible he was – if this event were back in Ottawa, he’d be thronged with people trying to say hello or get a selfie. There was plenty of that going on – he signed my new Village Feast souvenir hat, which we needed in the blazing afternoon sun! – but it was a steady stream of folks instead of a big crowd. Most of the people just wanted to greet him as one greets a neighbour in the local grocery store, not an internationally recognized celebrity with his own TV shows. It was charming, and typical of the small-town vibe on PEI. Lucas and I each tried oysters. 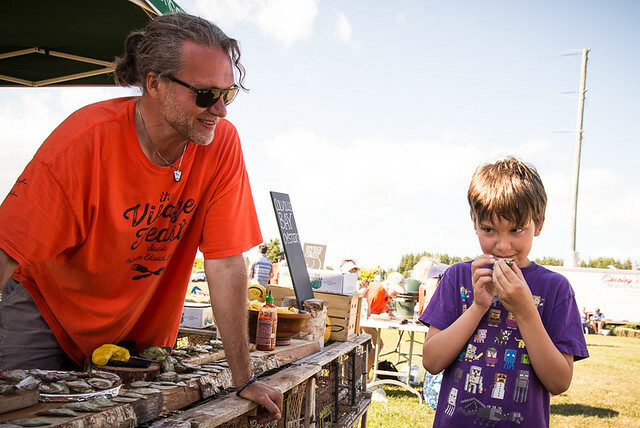 Chef Michael carefully instructed Lucas on how to hold and eat the oyster, and I was just a little bit relieved when Lucas didn’t promptly spit it back out. 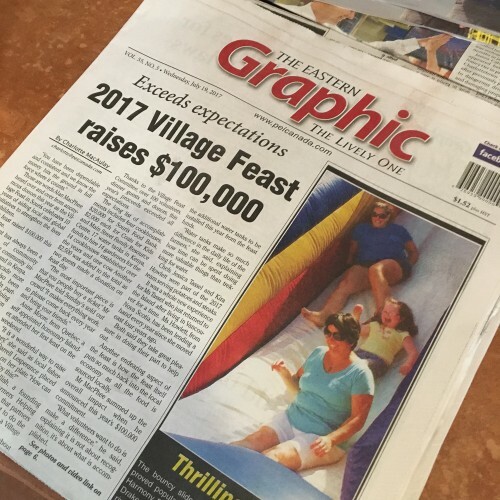 A few days later, we saw via this local newspaper that the Feast had surpassed expectations, raising more than $100,000 for charity. It was one of many great moments from our trip to PEI this year. Back in 2008, I heard a story on the CBC radio program Spark about Jamie Livingston, who took over 6,000 Polaroid photos – one each day for 18 years. That story inspired me to start my own “photo a day” project in 2009, which lead in time to my photography business and so much more. I recently stumbled across the retelling of Jamie’s photo project in this video, and thought it worthy of sharing here. It’s really amazing to think of him taking these photos in the days before digital! If you can’t view the video, you can see the original on Mental Floss. If you’ve been reading along lately, you know I’ve been inspired to incorporate more storytelling into my photography. 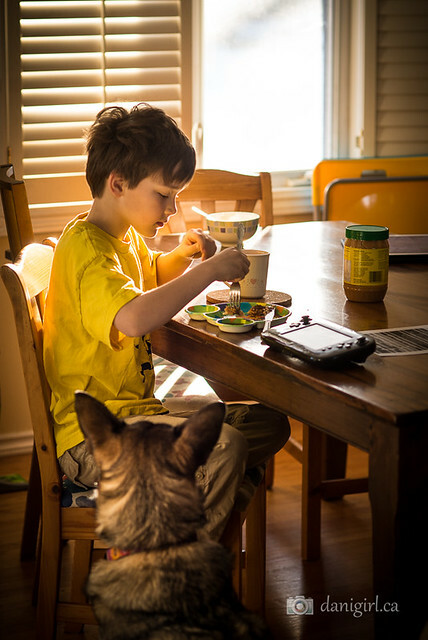 Over the years I’ve worked on my technical skills (exposure, focus, light, etc) and then my compositional skills. I’ve refined my digital post-processing skills, played with black and white, and worked on how to pose people. Now it’s time to level-up once more and hone my storytelling skills. I’ve always valued a photograph with a “moment” more than a technically perfect photo, and lately I’ve started to move my photography business in the direction of less posed portraits and more documentary photography. And so, the very same story that inspired my Project 365 has motivated me to start a new project: the Story of the Day. I don’t think I have the stamina to do one every single day, but that’s what I’ll be looking for in my personal photography this year: photos that tell a story. Here’s a great example! This is breakfast at our house. Lucas has made some freezer waffles for himself and instead of syrup has coated them in peanut butter and chocolate sprinkles. As he eats, he’s watching YouTube videos and Bella is watching expectantly for a stray morsel to drop. The light behind him is what brings it all together, I think. 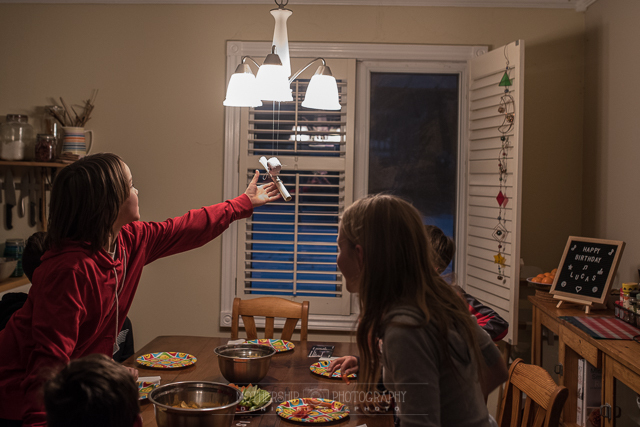 I love this picture, and I’m excited about the idea of telling more stories through photography this year. I know from looking back on my archives, the photos that document the minutiae of every day life are the ones that resonate with me. And, I’m just a sucker for a new project. I think I’ll aim for one Story of the Day photo each week. One down, 51 to go! 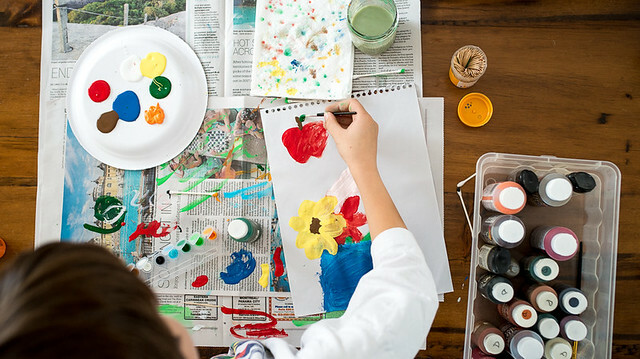 Nothing makes Lucas happier than creative work – drawing, painting, building. And nothing makes me happier than bright colours and interesting photo opportunities. That’s a win-win, wouldn’t you agree? I had heard about Pianos in the Park, but didn’t realize until this week that they had installed a piano right around the corner from us at our favourite place. 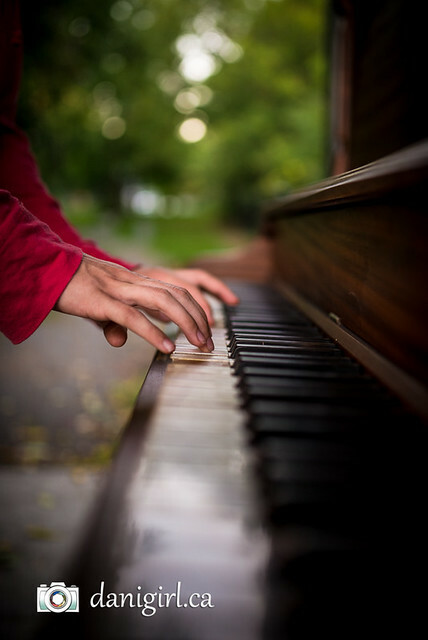 The Ottawa version of Pianos in the Park (apparently it’s an international movement) is a non-profit organization dedicated to bringing pianos to local parks. They’ve got them downtown, in Carp, Barrhaven, Riverside South, and about a dozen other location, including one right here in Manotick. This is in the gazebo at AY Jackson park. As soon as Tristan heard about it, he wanted to check it out. He’s been teaching himself to play piano from YouTube videos using Synthesia (not unlike Rock Band or Guitar Hero) on our electronic keyboard, but he doesn’t get a chance to play on a real piano very often. Safe to say, he quite enjoyed it! And so did Lucas, though he was more inclined to discordant banging than any actual harmonies. I was intrigued, so I did a little digging to find out more about the project. 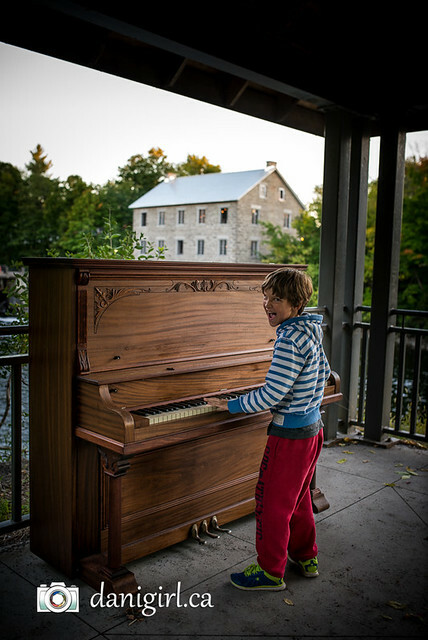 Founder Nicholas Pope launched Ottawa’s Pianos in the Park in 2014, modeling it on Play Me, I’m Yours, a project started in Britain that now has more than 1,300 pianos in 45 cities around the world. 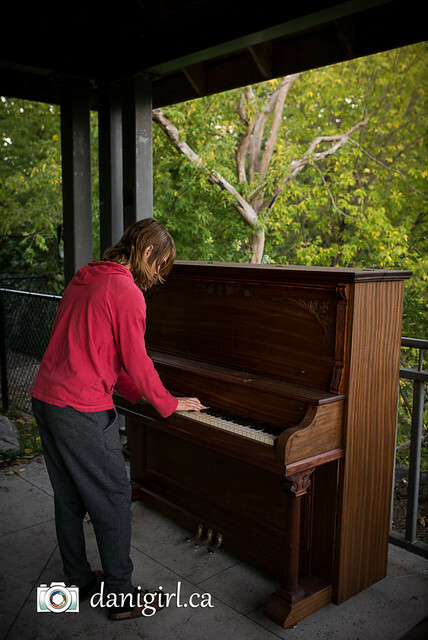 In an interview with the Ottawa Citizen, Pope said all the local pianos will be painted with Ottawa-specific themes, and that they take anywhere from 40 to 80 hours to finish. 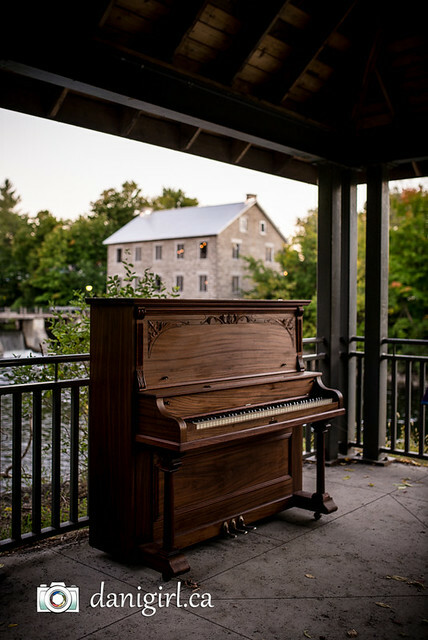 So the Manotick piano is in place but not yet painted – although I did notice it smells of fresh varnish. Amazing, right? I love this so much that I joined the Pianos in the Park group on Facebook, and found out about THIS amazing project being cooked up as a tribute to Gord Downie of the Tragically Hip, a traveling piano set to go on tour across Canada this October. 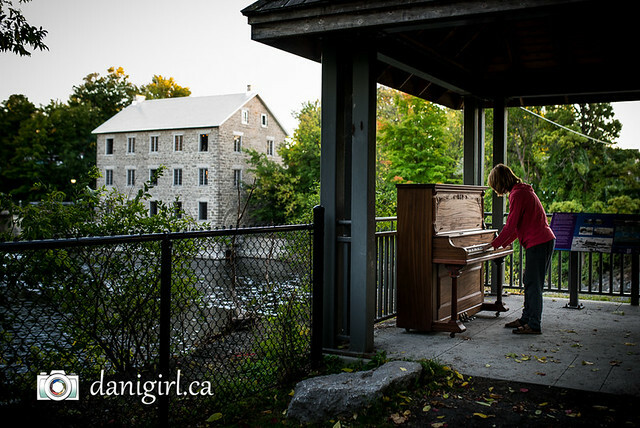 Have you been to any of the other pianos in Ottawa parks? I’m thinking it would make a fun adventure to tour them all before they’re packed away until next spring. Nothing says summer like road trip, family, nine hour car ride, and then watching the sun set into the Great Lakes on a warm evening. Hello, summer, how I have missed you!